means K-Haus Limited, a company registered in England under Company No. 09754175, whose registered address is Crane Court, 302 London Road, Ipswich, Suffolk IP2 0AJ and whose main trading address is Crane Court, 302 London Road, Ipswich, Suffolk IP2 0AJ. 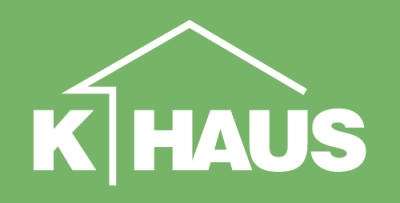 2.1 Our Site, http://www.K-Haus.co.uk is owned and operated by K-Haus Limited, a limited company registered in England under Company No. 09754175, whose registered address is Crane Court, 302 London Road, Ipswich, Suffolk IP2 0AJ and whose main trading address is Crane Court, 302 London Road, Ipswich, Suffolk IP2 0AJ. 7.3 If you are a commercial user, We accept no liability for loss of profits, sales, business or revenue; loss of business opportunity, goodwill or reputation; loss of anticipated savings; business interruption; or for any indirect or consequential loss or damage. 8.6 By breaching the provisions of sub-Clauses 8.3 to 8.5 you may be committing a criminal offence under the Computer Misuse Act 1990. Any and all such breaches will be reported to the relevant law enforcement authorities and We will cooperate fully with those authorities by disclosing your identity to them. Your right to use Our Site will cease immediately in the event of such a breach. To contact Us, please email Us at info@K-Haus.co.uk or using any of the methods provided on Our contact page at <>. 13.2 We will never send you marketing emails of any kind without your express consent. If you do give such consent, you may opt out at any time. Any and all marketing emails sent by Us include an unsubscribe link. If you opt out of receiving emails from Us at any time, it may take up to 14 business days for your new preferences to take effect.